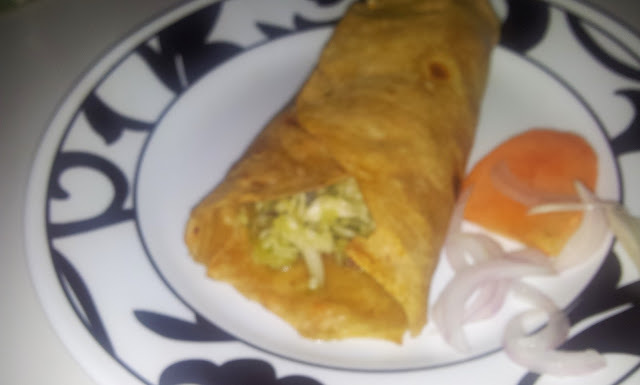 One bite of hot egg roll and i remember delhi's cold winters and thick foggy morning .Egg roll is one of the best street foods of delhi . Wisk eggs with milk and salt a pinch . Knead dough with water,flour, baking soda ,baking powder, yogurt and salt . Let it sit for 30 minutes. 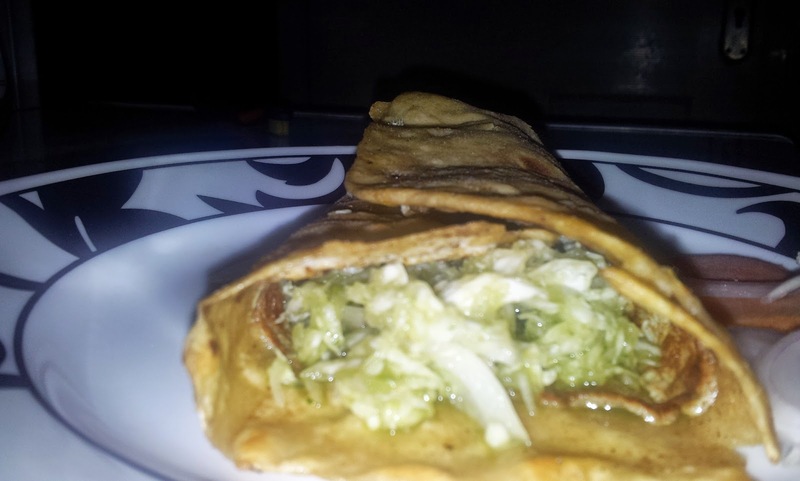 In the mean time make mint chutney, grate cabbage and thin slice onion , mix everything toghether . Now this is important part , divide dough into 4 parts . And roll them into disc of about palm size as diameter . Take hot flat pan , and put your disc on pan . Cook it from one side and turn and let it cook from another side , remove it from pan ,Now apply some butter on the pan and pour your wisked egg on pan like you do for an omelatte . Take your flat bread and put it on top of egg and cook egg untill its nicely done and carefully lift your bread covered with egg from pan and stuff it with veggies . And wrap it nicely from three sides.